MSF Urges Australia to Evacuate Refugees from Offshore Detention Centers - Integration Through Media ....! 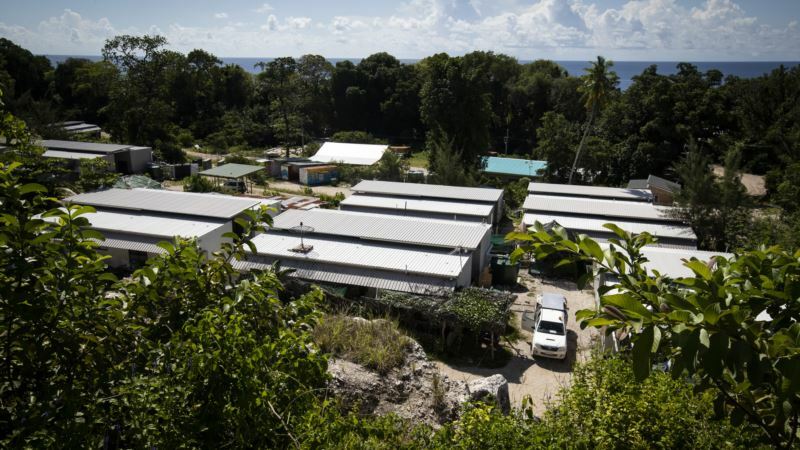 (VOA): Nauru’s government says it can meet the mental health needs of residents as well as refugees and asylum seekers detained in an Australian-run immigration facility. The camp has been used to hold unauthorized migrants caught trying to reach Australia by boat. On Friday, the Nauru government told Medecins Sans Frontieres staff that they had to leave the island. The medical charity says it is concerned for the more than 100 asylum seekers and refugee children on Nauru, citing fears about post-traumatic stress, attempted suicide and self-harm. Nauru is one of two locations in the South Pacific used by Australia to process asylum seekers. The other, on Manus Island in Papua, New Guinea, closed last October after local judges ruled it unconstitutional because of the poor conditions at the camp. More than 200 detainees are held in Nauru. Under strict border control measures they will not be allowed to ever resettle in Australia, even if found to be genuine refugees. Australia says it has no intention of closing the facility, despite repeated condemnation from rights groups. Canberra argues that offshore processing is a powerful deterrent for migrants risking their lives at sea, often trying to make the journey on rickety fishing boats from Indonesia. “I have been very clear before — if I could bring all those people to Australia tomorrow I would do it in a heartbeat. But if I did that I restart boats and then you would be asking me about the children who are drowning at sea,” says Australia’s Home Affairs Minister Peter Dutton. The flow of migrant boats arriving in Australia’s territorial waters has stopped. Navy vessels have been ordered to either tow or turn unauthorized boats away. Australia's acceptance of refugees is relatively small compared to other wealthy countries. In 2016, Australia resettled 27,626 people from overseas.